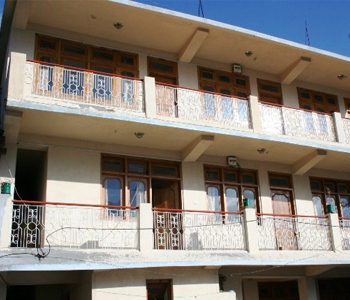 The delightfully landscaped two-star property, Blue Lotus Hotel is set in the heart of Kalpa, where the guests can relish a pleasant stay while relishing the scenic splendor of the city. The snug hotel is easily reachable to the significant tourist attractions of the city. Catering the guests with its compassionate hospitality, Blue Lotus Hotel proffers a superfluity of reasons to choose it for a congenial and excellent stay. The hotel offers spacious rooms sated with first class amenities and fine dining facilities. The multi-cuisine restaurant in the luxurious two-star accommodation option in Kalpa renders a list of mouthwatering dishes in order to enchant the taste buds of the travelers. The interiors of the rooms are elegantly selected with excellent services such as attached bathroom, television, telephone, room service. The comfortable and well-ventilated rooms of this hotel are well laid with present-day facilities such as attached bathroom, television, etc. The graceful interiors of these spacious rooms make tourists experience out-and-out luxury in the heart of heartwarming serenity. The beautiful and airy rooms of the hotel guarantee an excellent and welcoming stay with its specially selected services and fine furnishings.